...you find this sat in it. 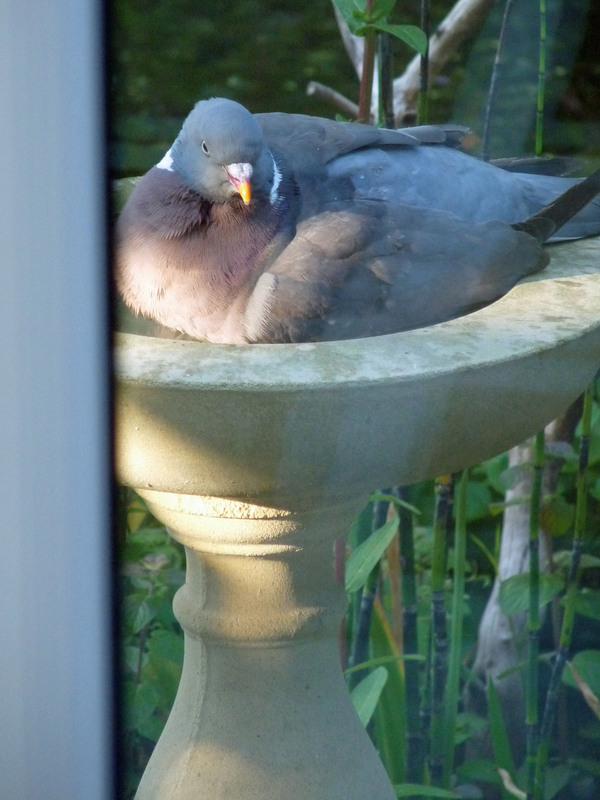 Excuse the reflections in the photo - that comes of peering around the conservatory door trying not to alarm the Wood Pigeon while it's undergoing its ablutions. Birdbaths come into their own at this time of year. In hot, dry spells, they offer a drink as well as a chance to clean up dusty feathers and parasite-ridden skin. I love the way each of the pigeon's feathers is raised and parted in this shot, allowing it to shimmy drops of water deep into its plumage. My garden has proved a wonderful experiment for showing what birds need from a 'water feature'. My pond has wonderful shallows, which look perfect for any bird to come down and bathe. But they rarely do - clearly they feel way too vulnerable dropping down to ground level in a garden patrolled by so many cats. 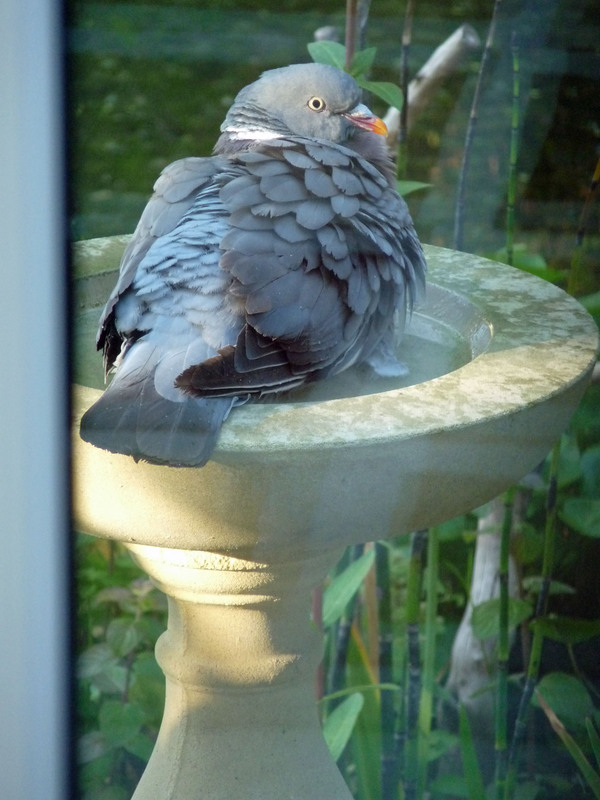 But this bird bath, what I call the 'puddle on a stick' model, gives them the very shallow-sided bowl of water, elevated to give all-round views. Even when they decide to completely wallow....!